Oh man, so many goodies over at Nelly.com right now. Lots of spring news. Love iiiit. 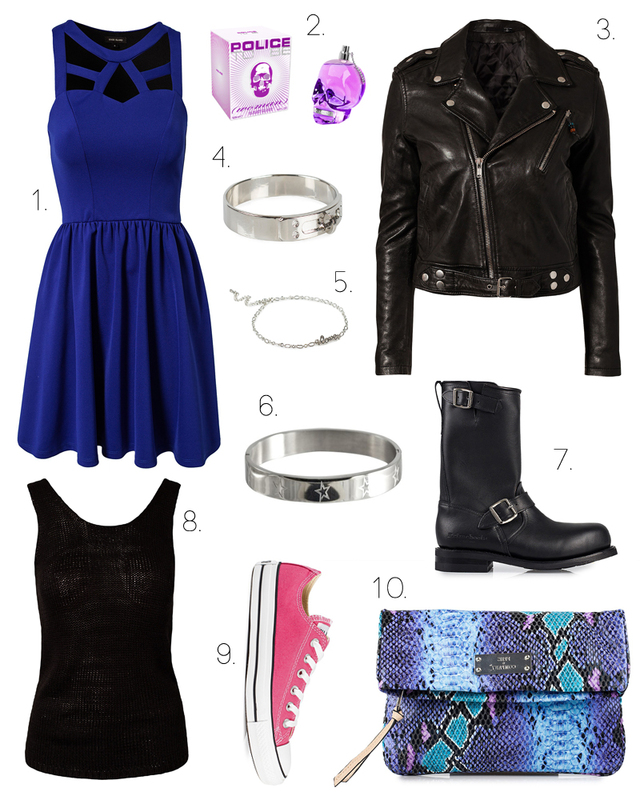 I'm in big need of new dresses for the summer, and that blue cut-out skater dress could be ah-mazing. The perfume? Coolest bottle ever. The biker jacket is simply perfection, someone please buy it to me!? clothing with cool accessories, especially when I go out - and hey, this cool clutch would be perfect.